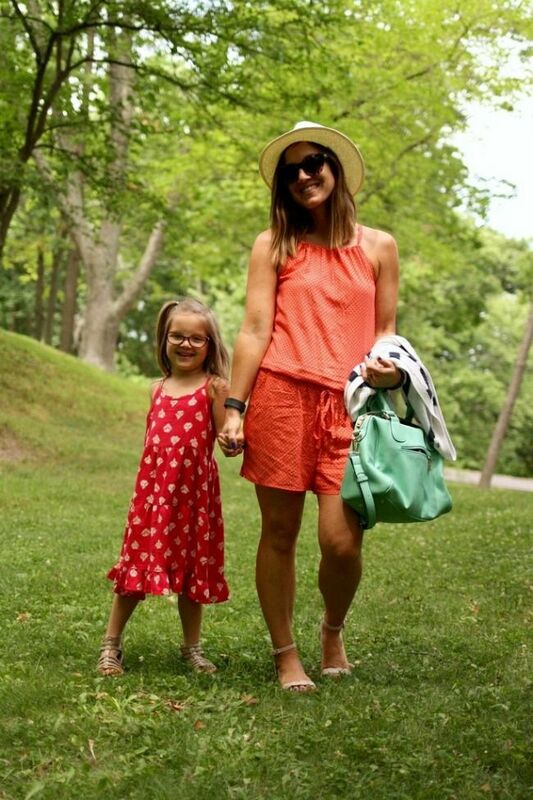 You can't get more classic summer style then this outfit. I feel like this has been my summer uniform for many years now, and I don't see that changing anytime soon. 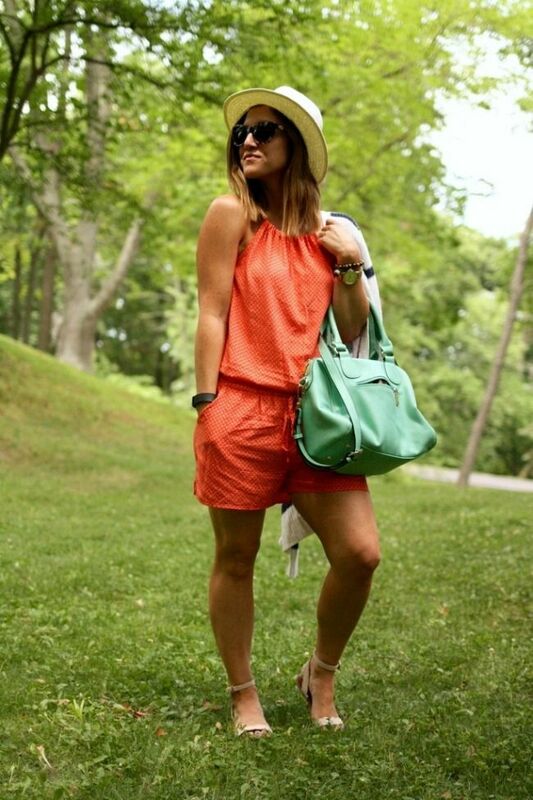 Pairing a romper with a cute hat, great neutral sandals, and grabbing a cardigan for cooler temps at night is effortless and still feels put together. Although the cardigan and hat are from years past, I did get a few new rompers this season to refresh the weekly wardrobe. How cute is this orange number? I love that is was under $35 too! What is your summer uniform? I wish they made my daughter's dress in my size, I would totally rock her look too!